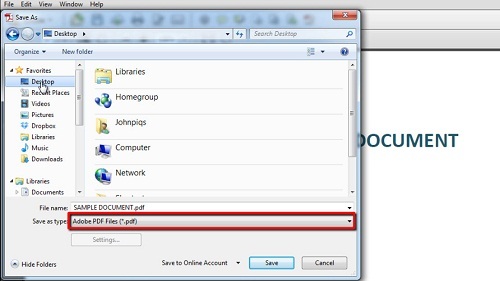 In this tutorial you are going to learn how to create pdf in Acrobat XI. Start Acrobat and click on the “Create PDF” task icon found on the right hand side of the Welcome Screen near the top. The Welcome Screen is a window in the document area that appears when no document is open. In this instance, “create” is being used to convert a file to pdf format. A standard file “Open” window pops up, where you can select the location of the document you wish to convert. Many file formats are supported. This can be seen by clicking on the “All Supported Formats” pop up menu button on the bottom right hand potion of the window. 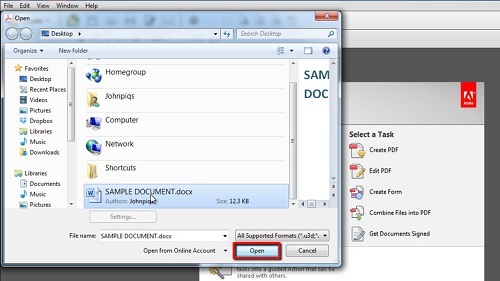 Once your document is open, choose “Save As” from the “File” menu. A standard “Save As” window pops up, where you must select a location and type a filename for the newly converted file. Make sure that “Adobe PDF Files (*.pdf)” is selected in the “Save as type:” pop up menu. Complete the procedure by pressing the “Save” button near the bottom of the window on the right hand side. 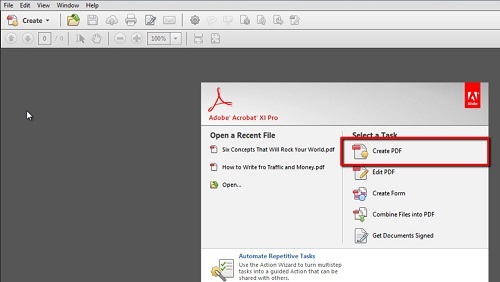 This is how to create pdf in Acrobat XI.